Recently reported coumarin-biphenyl derivatives by Zhang et al. for luminescent materials have paved the road to tune new structurally tailored coumarin-heterocyclic π-linker-based derivatives (COB) with enhanced luminescence efficiency. 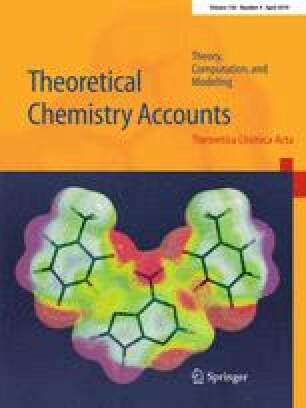 Herein, a series of heterocyclic π-linkers (bi-furan, bi-thiophene and bi-pyrrole) have been used to design nine new Donor–π-linker–Donor molecules, and their luminescence efficiency has been evaluated using density functional theory and time-dependent density functional theory calculations and compared with their biphenyl derivatives. Frontier molecular orbital analysis has been carried out to gain insights into the role of different groups towards the HOMO and LUMO of the molecule. The calculated excited-state properties such as absorption and emission spectra have proved their pronounced luminescence efficiency. The lowest singlet–triplet energy gap (ΔEST) confirms their thermally activated delayed fluorescence property. All the newly designed COB compounds have been studied for their charge injection/transport properties such as ionization potential, electron affinity, reorganization energy, hole/electron mobility and their light harvesting efficiency. Overall, the study highlights a fine correlation between the computed luminescence properties and HOMO–LUMO energy gap, which portrays the prominent role of hetero cyclic π-linkers on the photophysical properties of COB derivatives. The online version of this article ( https://doi.org/10.1007/s00214-019-2448-8) contains supplementary material, which is available to authorized users. AB sincerely acknowledges the Department of Science and Technology (DST), New Delhi, India, for the financial support through the DST-Women Scientist-A (WOS-A) Project (Ref. No. SR/WOS-A/CS-22/2016), and AB records sincere thanks to the management of Bishop Heber College, for extending facilities through DST-FIST Instrumentation center (HAIF) BHC. RVS thanks DST-SERB for the computational facilities through Early Career Research Award (Ref. No. DST-SERB/ECR/2017/001147).The encouragement and support from Dr. P. Wilson, Head, Department of Chemistry and the management of Madras Christian College, is gratefully acknowledged by RVS.